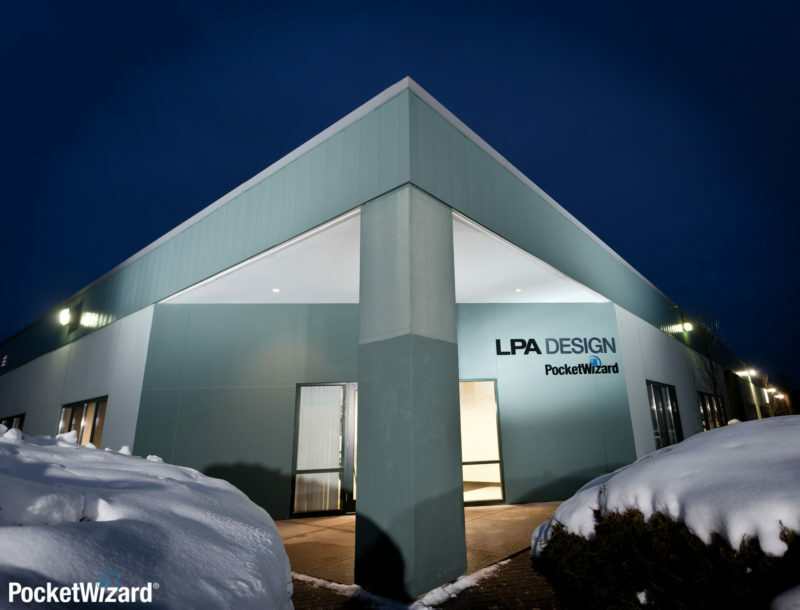 LPA Design, the manufacturers of PocketWizard radio triggers, have made a number of staff redundant following “below forecast” worldwide sales. In an e-mail to distributors, CEO Tim Neiley announced that the Vermont-based company was bringing its international sales and marketing in-house, terminating an 18-year relationship with consultancy firm Inovanti. However Mr Neiley stressed there would be “very little impact” on dealer relationships. Rumour has it that as many as 20 or more employees have been made redundant over the course of two rounds of layoffs, out of a total workforce of fewer than 50 people. Job losses have reached even senior management with vice-president (sales and marketing) David Schmidt gone after five years with the company. The former VP is now a “freelance photographer” and has been writing recommendations for other staff. 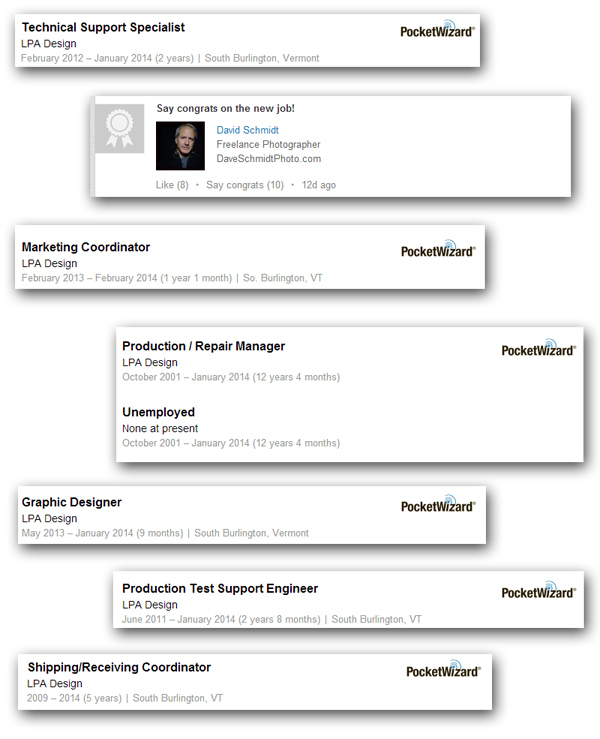 Nobody has publicly announced being laid off but portfolios and LinkedIn profiles are being discreetly updated, with technical support specialists, the marketing coordinator, production/repair manager, designers, engineers and logistics staff all ending employment in January and February 2014. Calls to PocketWizard customer service went unanswered last week. PocketWizard flash triggers have been widely used by professional photographers for decades, and are integrated into lighting equipment made by industry partners such as Sekonic, Profoto, Dynalite and Bowens. The brand has become synonymous with radio triggering. However recent years have seen PocketWizard struggling to compete with Chinese manufacturers offering increasingly sophisticated rival products at lower prices. The back-to-basics PlusX transceiver released last year seemed to be an attempt to counter this, but it turned out to be not a very good one. In August another pro-focused US manufacturer, Quantum, was taken over by Promark, which now owns eight different photo brands. But no one has publicly shown an interest yet in buying LPA Design. The company founder Jim Clark left in 2011 to work outside the photography industry. PocketWizard is billed to exhibit at the Wedding & Portrait Photography Expo (WPPI) in Las Vegas, Nevada on 3–5 March 2014.